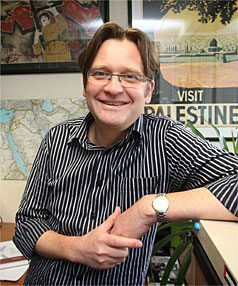 Radio New Zealand published an article about recent Palestinian terror in Israel where it only included the opinion of Dr Nigel Parsons, an academic who has spoken on a “Palestinian Solidarity” panel and has strong links to BerZeit University, where Hamas is praised and Jews are not allowed to speak. 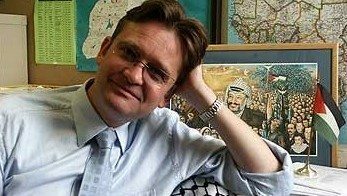 Radio New Zealand published the words of this highly partisan Middle East “expert” academic, who ignored facts and manipulated others in an effort to assign blame to Israel for the recent violent attacks on its own citizens. The omissions and inaccuracies make the report both unbalanced and misleading. Without a balancing view, this report may place RNZ in breach of standards 1 and 2 of the Online Media Standards Authority Code of Standards. After recent criticism of Radio New Zealand by the Broadcasting Standards Authority for a lack of balance in its treatment of Israel, it is disappointing to see a continuation of such one-sided coverage. If, by “de-Arabisation”, Parsons is attempting to claim that Israel was planning to change the status quo regarding the Al-Aqsa mosque, this is entirely false. In fact, this is simply another malicious slander that has been used by Abbas to incite attacks on Israeli civilians. The fact that as recently as 2008 the Palestinian leadership turned down an unprecedented offer for an independent and viable Palestinian state, without a counter offer. Since the current violence began with the shooting to death of an Israeli couple in front of their four children, there have been 43 stabbings, 4 shootings and 5 car rammings, all by radicalised Palestinians, encouraged by clerics and leaders who have chosen nihilism and violence over negotiation and dialogue. Parsons’ attempt to divert all blame from the perpetrators and their instigators for this appalling violence – and in doing so justifying it – is both misguided and unfair.